Let’s face it. The longer a person lives, the more decisions must be faced. Where do I go to school? What should I be when I grow up? Who do I marry? Should I change jobs? Where should I live? Who should I vote for? Is my doctor the best? Where should I attend church? What do I believe in? The list is infinite leading a person to seek wise counsel from anyone and everyone … that can be good and it can be bad. 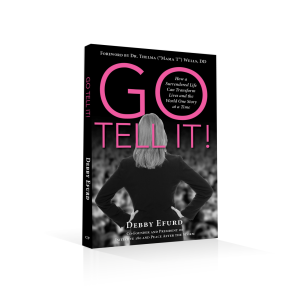 As I sat down to write this post, I thought of that song and asked myself, “do I really trust Him?” When life is good and things go smooth, it’s easy to say “yes, Lord.” But when things go south and challenges come (and they do come), fear takes hold. 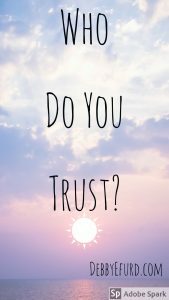 It’s then I confess I trust in what I can see – my spouse, doctor, retirement, employer, airplane pilot … all skilled and capable of handling things in an emergency. They deliver me to the destination I want or fix the problems I have. But mistakes happen … people get injured or worse. Man is imperfect and mostly unreliable. God, however, is perfect and wholly reliable. Let’s face it, none of us – no not one – especially me — understands everything. I don’t know what the future holds. I can’t imagine every possible outcome. Despite what I may think of myself, I’m not all-powerful and far from perfect. Trusting any human is risky. In the scripture above, though, the prophet Jeremiah says that the person who trusts God is like a plant near water. It gets refreshment, nourishment, and blooms. That plant, though, will go through seasonal changes with temperatures rising and falling, droughts and rains to survive through – yet the plant continues to grow. This describes the life God wants for us — a life of hope, certainty, and confidence. Maybe not a life of material wealth, but never hopeless or alone. That message speaks volumes to me. Looking at the lives of men who trusted God in scripture, and listening to countless testimonies from those whose lives have been turned around by God, doesn’t mean I haven’t had doubts and fears. Someone said trusting God means I have someone with me who already knows the outcome. I like that. 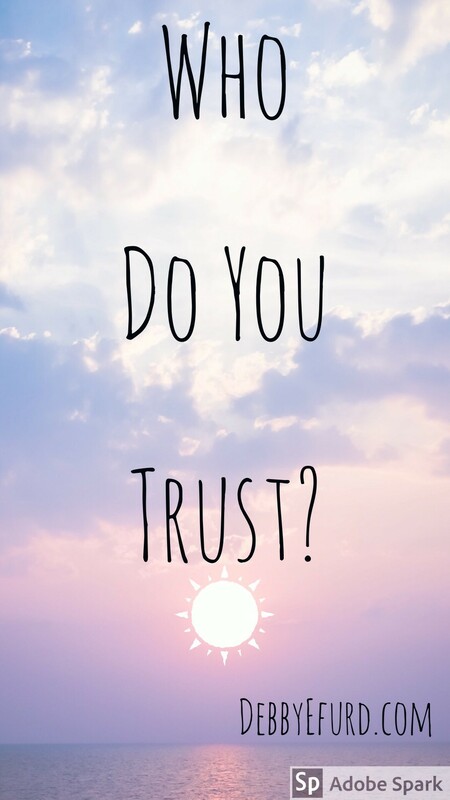 Now let me ask you, who do you trust?